Such a reality will be challenging for many to handle or comprehend – but nevertheless, the truth is that our planet’s ecosystems are collapsing and dying at an extreme rate and the end result is the collapse of human civilization, a mass extinction level event of almost all life on the planet and thus the imminent end of our earthly human experience in the face of large scale human suffering beyond anything humanity has so far been a witness to. 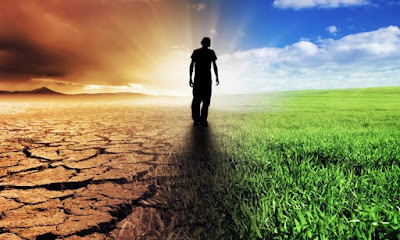 Those with enough awareness and understanding will realize that biosphere collapse cannot be stopped whilst the human population continues to increase – generally oblivious to unfolding events in nature. Humanity cannot possibly reduce its numbers in time to avoid a Malthusian Catastrophe (collapses in population levels) and ceasing emissions will only cause a further spike in global warming (and the collapse of humanity’s societal infrastructure). There are no new habitable worlds in our galaxy within range and the Earth requires at least 10 million years or so and without humanity – in order for the biosphere to repair itself and restabilize. Sooner or later, one thus realizes that one is incarnated amongst a dying race – a race that overall does not see – and is trapped on a dying world with no apparent means of avoiding the realities of mass suffering, collapse and death. If there is too much fear, one cannot handle such an awareness so one usually remains asleep and unaware and continues as normal, oblivious to the issue. Those who seek Truth or any kind of spiritual freedom/liberation would be well advised to integrate and process the awareness of the collapse in order to avoid losing awareness in this reality and becoming an involuntary participant in a karmic amphitheatre bearing the hallmarks of collapse, death and suffering. 1. Extreme and rapid global warming causing overheating of the equatorial regions both on land and at sea is already well underway. Large parts of the equatorial countries are experiencing record heat, drought, water shortages and collapses in agricultural production at a time where climate is becoming more unpredictable and less sustaining for human life. Even a further modest amount of global warming would create 50 degree summers, monsoon failures, deadly heatwaves and a huge famine risk for 3-4 billion humans. It is likely that by the 2025 mark – many millions – if not several billion humans – will be lost due to the aforementioned causes alone combined with an ongoing and irreversible collapse in Asian agriculture. Once the summer temperatures in those regions regularly reach 50 Celsius, rains fail and crops can no longer be grown – what follows is mass human migration and the desertification of the entire equatorial belt (along with the loss of the Amazon rainforest). The end result is that the entire Equator becomes too hot to support human life and becomes unhabitable. Nothing can be grown there and losses of human life in those areas reaches 2-3 billion triggering global societal collapse and pandemonium. China (with 1.5 billion people) is already well past the point of no return in terms of soil degradation, pollution, ecological collapse and overpopulation, that it too – cannot possibly survive the collapse of the equatorial regions. Resource wars, mass migrations and mass human die-off across the whole of Asia – is inevitable. A large methane release from the Arctic could cause such a rapid level of warming – and in a few short years. 2. Marine System Collapse culminating in a ‘Canfield Ocean’ event. In 2016, humanity has already lost the majority of the Great Barrier Reef – one of Earths natural wonders. 95% of it has been bleached by climate change and its recovery is now unlikely. It supports a large number of marine organisms including many species of rainbow coloured fish and similar. Many of these will undoutedly experience decline and extinction as the oceans continue to die-off planetwide. Warming oceans are also responsible for vast numbers of die-offs in nature. Almost every day, somewhere on Earth – thousands or millions of dead fish, eels, squids or other animal are being washed up. Elsewhere, dolphins and whales have been stranded and then died. This is the warning sign that the oceans are dying and nothing can now stop that process accelerating. As warming intensifies and life dies off in all of the oceans, plankton levels collapse as does the level of the oxygen in the atmosphere. Breathable oxygen is replaced with vast quantities of deadly toxic hydrogen sulphide as the oceans become sterile of almost all life ranging from fish to plankton. Dying oceans will produce millions of tonnes of hydrogen sulphide where it will then be blown ashore – causing a rapid and mass mortality in humans and animals. All food that originates from the sea will become unavailable – causing futher food issues for humanity – or where it can be found, it will be too poisonous to eat. Any coastal city near a Canfield Ocean would become totally unhabitable (and permanently) and survival (short term) will necessitate being far inland. Almost all life on the planet would face extinction in the face of oxygen depletion, extreme heat and a destroyed marine ecosystem. 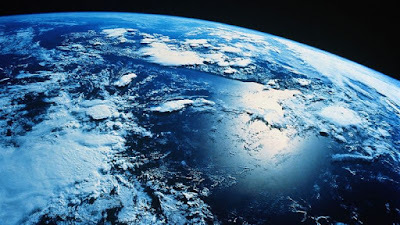 Before a Canfield Ocean becomes manifest on a planetary scale – disruption of ocean currents and rapid warming of the oceans will create sea level rises due to thermal expansion and ice sheet melt that will inundate all of the worlds coastal cities. In addition, current failure can cause sea level rise ‘bulging’ where accumulated water bulging at the equator redistributes itself. This can result in rapid and unexpected sea level rises as well as being the trigger for superstorms. Once climate change becomes more extreme – there is a very real and present danger of ‘superstorms’ caused by collapsing jet streams, extreme temperature anomalies and warming oceans. At that point, humanity can then expect to witness storms of a size and intensity not seen in recent human history. Places not to be as the planet warms up includes all known hurricane and tornado belts. Any area prone to such events is a dangerous place to be. Such storms can produce severe climatic disruptions that can challenge the permanence of modern human civilization and can happen with very little warning. A super-hurricane (or hypercane) can be the size of an entire continent, continue to storm for many weeks and totally destroy the landscape on a continental scale. In terms of effects – a superstorm would be like a vast tornado system that continues for weeks, with windspeeds well above Category 5 – causing catastrophic damage, sea/storm surges of anything between 25-100ft, incomprehensible amounts of rainfall and flooding – and extreme losses in terms of human life. Such storms have occured in geological history and have been implicated in causing mass extinctions, sudden climate shifts and changes in sea level as well as Ice Ages and similar. The truth is that such storms can happen. Humanity has lived in a era of relative climatic stability giving rise to its expansion. Even small shifts in the Earth’s climate can have serious effects on a civilization ( a 10-40% reduction in numbers along with a generalized societal collapse) and at this time, rates of climatic change are as rapid as they have ever been – with no human known way to slow it down or stop it. Once the planet warms by an average of 4 celsius – human extinction is unavoidable. Parts of the Arctic have already crossed that threshold in recent years and there are wildfires in Canada, heatwaves in Alaska, melting permafrost and a serious collapse of the Arctic ice sheets. All that is witnessed now is only the very beginning of a global continental-scale cleansing and at the end of the process, all human life will have moved on from this world – whether by death or otherwise. Melting permafrost and warming oceans in the Arctic can release vast quantites of methane and trigger runaway global warming in a matter of weeks or months. The methane in the permafrost is already leaking. Huge blowholes appear from time to time, occurring when trapped methane melts and then explodes creating a huge crater. More and more of them are appearing, both on land and in the sea. The leaking cannot be stopped, simply because there is a lag between emissions and warming and thus humanity is already committed to a 3-4 degree warming (currently at around 1 degree). In a 3-4 degree world, most of the methane melts and humanity dies. The trouble is that the North Pole has already warmed by 3-4 degrees (ahead of the rest of the planet). The warming has occurred where the methane is and the disappearance of the sea ice (from 2016 onwards) will certainly increase methane melt on the seabed. This is really bad news for humanity for this is indicative of a rapidly destabilizing pole. Vast amounts of methane could be released at any time. Methane releases in the Arctic Tundra (on land) cause regional warmings and a dispersal of greenhouse gas methane throughout the atmosphere. This is already happening and methane emissions are spiking. Controlling CO2 emissions then becomes a pointless exercise, for CO2 is tame (with a time lag between emissions and warming). Methane causes almost instant warming and a big release will push the world into a 5-12 degree Celsius temperature increase (with the extinction level threshold reached at around 4 degrees) and cause the mass extinction of the human race. Methane releases can also cause tsunamis with little warning. Human existence is very fragile and dependant upon a functioning biosphere. Once it breaks down, there is no way for humanity to possibly sustain itself and thus there are then mass departures of human beings from the Earth. Serious issues in the near term will include climate disruptions, crop failures, food and water issues as well as drought and heatwaves of increasing intensity. The human race does not have the technology or any means to be immune to such ecological catastrophes. 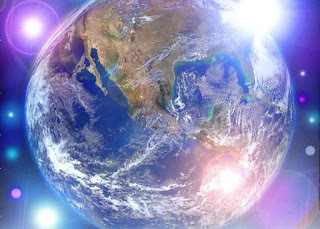 Once the biosphere collapse progresses and becomes mainstream knowledge, the collapse of human society is inevitable and all that is unresolved in humanity will become manifest in an intense karmic cleansing collapse event. Humanity will then implode, become unable to sustain itself and the population will then reduce sharply down to around 5-10% of the current population with the remaining sector pushed back into Stone Age conditions in the midst of biosphere collapse. The worst places to be in a collapse are undoubtedly the world’s cities. Once the infrastructure fails, mass mortality and pandemonium are the end results. Those who are wise will thus understand that one is incarnated into a dying civilization and at the point of becoming spiritually aware and awakened – one also becomes aware of the limitations of the human condition – and this ‘set-up’ has been created for the purposes of evolution beyond the mortal condition of being an embodied mortal. Beyond a certain point, it is impossible not to see the reality of the coming collapse and the realization can arise that the only useful work at this time is the inner work so that one can be sustained from Source-within, for the outer reality is becoming dangerously unstable. It is collapsing. Once the awareness of the collapse becomes strong, there is a potential for profound transformation – for the mirror of the collapse can help to enhance awareness, spiritual understanding, karmic purification as well as detaching from what is no longer important or useful to serve. In any case, 3D reality here has always been inherently impermanent and this timeless teaching teaches on that there is no safe refuge anywhere in this reality. Remaining karmically bound to a collapsing 3D reality can only end in suffering and death. That existential crisis can then be used to enable one to discover the Truth about who or what one is, where one is, what is real, what is not and what one’s karmic story is here on Earth along with looking at one’s individual fear of death. Once that is resolved, one is then presented with the matter of the shared reality known as 3D Earth and the global situation. To understand that fully to the point of surviving the collapse, much inner work is required and in silence. Advanced spiritual development is an inner work and not an outer one. Without silence one can become distracted by things that are not so important – or lose energy or focus – or reinforce the patterns of the ego mind and thus karma. In silence there is deeper understanding and a deeper freedom from the karmic wheel. The amount of spiritual understanding that can be attained is related to the degree that one can be in silence with one’s Higher Self. In that silence – there are transcendental answers to existential issues such as karma, human suffering, death and the matter of the collapse of the Earth’s biosphere. Without a grounding in spiritual practice and silence – it is not possible to contemplate or handle such matters – and thus without silence and retreat – further spiritual understanding will remain elusive and one thus remains bound to the Karmic Wheel. The desire for Truth can be strong, but without silence in thought, body and mind – undiluted Truth would be almost intolerable to be a witness to – in which case, it is better not to know. The path of Inner Work at the time of biosphere collapse is to see the illusion of the 3D reality, its origins in ego and thought and to extract oneself from what in the end is nothing more than a collapsing dreamworld. There may be 7 billion humans in it – but it is ultimately only a manifestation of mind and thought. The mirror of an imminent collapse of the entire foundations of one’s reality facilitates a further evolution in one’s understanding of reality to the point where one works to become immune to a collapse. Once the ego has been purified, the proper understanding and spiritual grounding is there – and the accumulations of karma released (a tall but not impossible attainment) – reality changes and this world is seen as a dream, existing only in a greater awareness – and the bigger awareness can then enable one to enter into a deeper understanding with the aim of become immune to the suffering of a collapse and potentially becoming a Voyager (and leaving Earth). 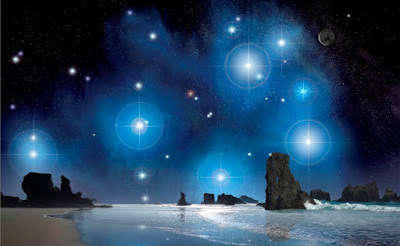 Advanced students will understand that everything that happens on Earth is only part of a ‘learning sphere’ or ‘karmic theatre’ and in that awareness there is another awareness that is of another world, another reality, not of time, or space, nor of karma, or suffering, or death – and in that reality one becomes a Witness rather than a participant and the process is complete when one’s karmic pile has been transmuted (burned-off). Without the karmic burn-off, the unknown remains unknowable and one remains Earthbound. 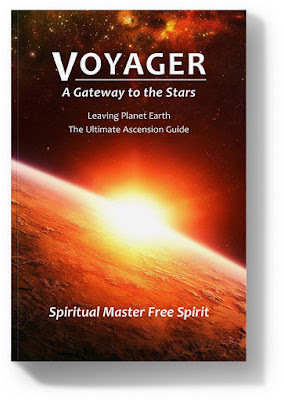 Those who can purify all of their karma in the awareness of Source becomes of a deeper awareness that is immune to collapse as well as moving into a deeper spiritual awareness of one’s true nature and origin (of the Stars) – a matter expanded upon in Voyager.